There are many different types of platforms, including computing platforms like Apple iOS and Microsoft Windows, social platforms like Facebook and WeChat, and marketplace platforms like eBay and AirBnB. Twilio is a technology platform, like Amazon Web Services (AWS) or Microsoft Azure, which provides building blocks that are used in other technology products. Technology platforms are usually not visible to the end users of a product built on the platform. For example, while Netflix runs its services on top of AWS, Netflix’s video-watching users never see or interact with AWS. Likewise, an end user of Lyft’s ridesharing service doesn’t see or interact directly with Twilio, even though Lyft uses the Twilio platform to communicate with their users. This type of platform is also known as platform as a service, or PaaS. The provider, such as Twilio, hosts applications on its infrastructure, and developers pay for what they use. 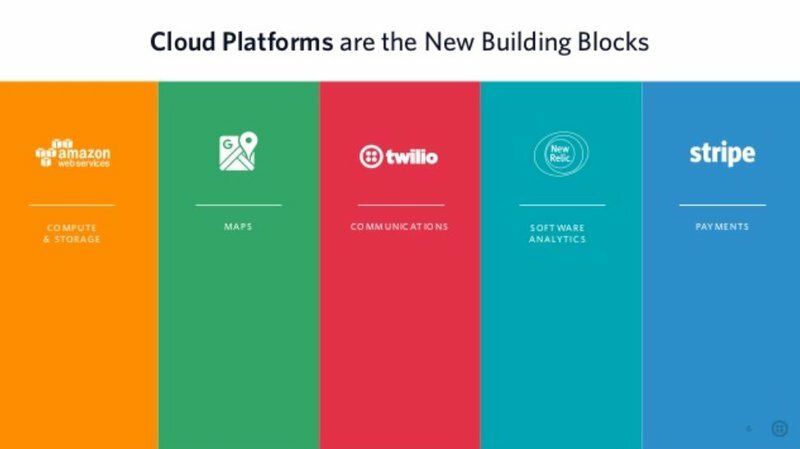 Specifically, Twilio is a cloud communications platform. This is sometimes referred to as communications platform as a service, or CPaaS. The term CPaaS emerged when companies like Twilio started offering application program interfaces (APIs)—a more developer-friendly and lower-cost option to integrate communications capabilities like voice, messaging, email, and video directly into software applications. Rather than building their own communications infrastructure from scratch, businesses that use cloud-based APIs from CPaaS vendors add real-time communications into their applications with a few lines of code. Unlike traditional communications infrastructure, communications built on a cloud communications platform are available without the burdens of capacity planning, carrier contracts, telecom hardware integration, and fragmented security. Cloud communications platforms like Twilio bring the world of communications to every web and mobile developer in the programming languages they already use. 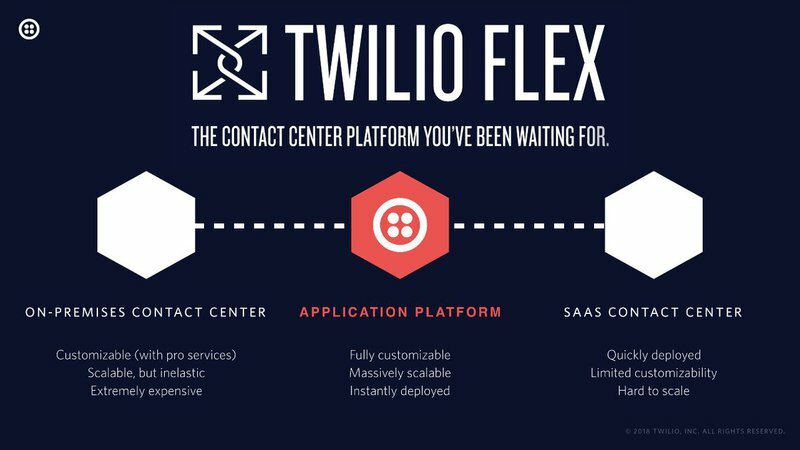 No matter if a company is building a large, complex contact center, replacing a legacy corporate phone system, or building SMS notifications into a supply chain management app, the Twilio platform makes it simple. Without separate equipment, protocols, traditional infrastructure, telecom contracts, and software to deal with, the focus can be on building and iterating on the right solution for the task. Cloud communications platforms operate with the latest security practices used by the largest banks and multinational companies. Strong encryption, role-based access control, and signature validation protect the experience. Dedicated security experts are always improving security with incident response teams proactively monitoring and patching potential vulnerabilities around the clock. Cloud communications platforms offer a distributed, self-healing infrastructure to eliminate maintenance windows and guarantee uptime. Users get the benefit of dedicated communications engineers who constantly monitor and optimize for changing traffic patterns. Each service performed is always transparent and customers are backed by a service level agreement (SLA). With geographically distributed hosting, horizontally scalable architecture, and thousands of carrier connections worldwide, cloud communication platforms present the opportunity to be truly global immediately. Local communications infrastructure and local connections in every geography are no longer required, allowing for vastly wider reach and the ability to scale as quickly as a company demands. Unlike traditional infrastructure, cloud communication platforms don't focus on peak usage estimates and preparing for extra capacity that may or may not be used. There is no upfront capital or commitment required: users only pay for what they use.